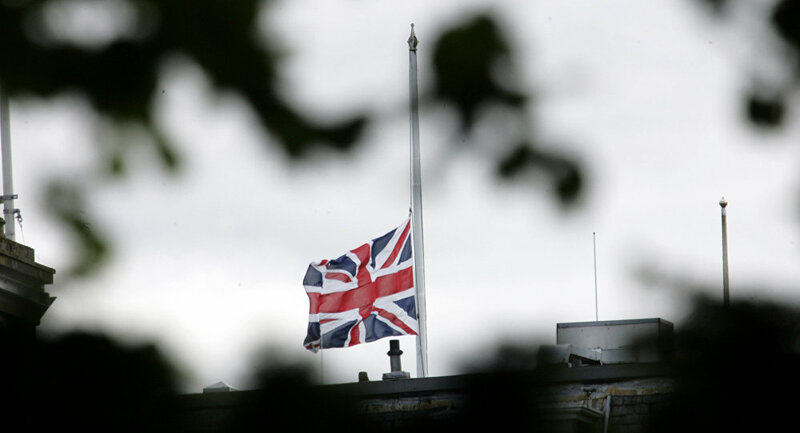 LONDON (Sputnik) - The UK authorities have been delaying the appointment of a new Russian honorary consul for a year and a half already, while there are two UK honorary consuls serving in Russia, the Russian embassy in London said in its statement on Monday. The last Russian honorary consul, Alexandra Anastasia Hamilton, Duchess of Abercorn, died in December 2018 after having held the office in Northern Ireland for four years. "In order to appoint a honorary consul, consent of the British authorities is needed with regard to a particular candidate and the intended region of his or her activities. In this context, it is worth mentioning that the Embassy’s request to appoint an Honorary Consul in Norwich has been under consideration at the Foreign and Commonwealth Office since December 2017," the embassy's press secretary told reporters as quoted in a statement published on the diplomatic mission's website. The press secretary added that there were still two UK honorary consuls serving in Russia's Vladivostok and Yuzhno-Sakhalinsk despite the decision to equalize the number of diplomatic and consular offices of the two countries. According to the Russian embassy, the UK authorities might be delaying the appointment of a new Russian honorary consul due to political reasons. "Such a delay cannot be explained by any administrative reasons. It looks as if the British authorities have decided to project the existing political problems in bilateral relations with Russia onto the institution of honorary consuls. This is regrettable, as we are speaking essentially of civil diplomacy and those people who voluntarily contribute to strengthening of ties between our nations," the embassy said. Honorary consuls are usually chosen from distinguished and reputable citizens who contribute to the strengthening of relations between the two countries and are ready to devote part of their time to performing consular functions. The appointment of an honorary consul requires prior consent of the UK authorities regarding the proposed candidature and the place where consular functions are supposed to be exercised. Russian-UK relations have been rather strained these past few years in the wake of Crimea's reunification with Russia in 2014 and the attack on former Russian double agent Sergei Skripal and his daughter in Salisbury in 2018.